Whether you are building the house of your dreams or finishing that dirty basement, you will need a new basement window! You will also need a window if you unfortunately have to replace it for one reason or another. But don’t worry, that is where we come in. You might not think you have many options for this type of window, but with us you do! There are different styles, measurements and types that you can choose from. You will certainly find one to match the style of your home. Even beyond the style of the window, you have to make sure it’s energy efficient to help maintain a comfortable temperature in your home. When you’re looking for a basement window for a brand new house or replacing an existing window, you want to look to see if its energy star rated. When you see this on a window it means it was manufactured by an energy star partner. This company ensures that the window meets strict energy efficiency guidelines. A huge plus for you and your home! You will see a monthly savings in your heating and air conditioning bills by adding Energy Star rated products to your home. One thing you have to think about is the climate where you live. Along with the different seasons that your area faces. Are you freezing in the winter with lots of snow and ice falling? Or, are you enjoying the warm weather with the sun beating down on your house most of the year? This makes a difference when choosing the best window for your basement. Each climate zone varies. 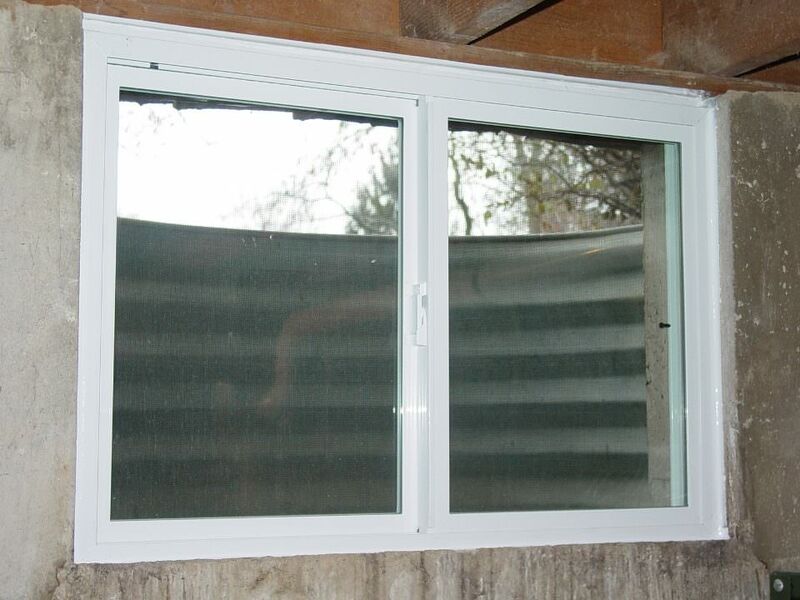 Click the link below to see what performance criteria you should be looking for in a basement window. Which window will be right for you? We have plenty different styles and designs. The in-swing basement window is one of the better options. Why? Since the window swings into the house, it will not be able to be kept shut by things like snow and ice. With the in-swing, you don’t have to worry about it losing any square footage inside the window well. With this you don’t have to worry about any trouble with egress codes! Not only do we have standard sizes but if your home isn’t standard, we have custom sizes to meet all of your needs! The vinyl makes for a maintenance free frame. You will not have to ever worry about an ugly rusted window! Not convinced an in-swing is a fit for your home? That’s okay, there’s more! Maybe a basement slider window is more your style. These also have a vinyl frame which means no maintenance for you! They do not come in custom sizes but they do have many size options that will make it easy to find the perfect fit. 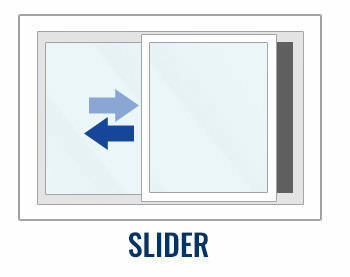 These sliders are great if you need to replace a window because of a water leak. If you replace it with your slider window, leaks will be a thing of the past! Yes, we have even more! Other than in-swing and slider, (two most popular options) we have casement, awning, hopper, fixed, single hung, double hung, and glass blocks. One of these surely will be a great fit for your home! The most important part is finding out what you need for the safety of your home. Obviously it has to look amazing, but remember you have to make sure the window goes best with your climate zone. Take a good look at all the options for new and old construction. No matter what your current situation, we will have an option that fits perfectly in your finished or unfinished basement.